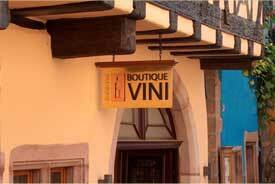 Located in Riquewihr in a superb building dated 1545, in the heart of one of the most picturesque villages in France, Boutique VINI is an exceptional wine library. A very wide range of products is offered for your appreciation with only one priority: excellence... whether from France or abroad. Fine, rare wines, ideally presented and commented, here everything has been designed for your comfort: the shop is spacious and fully air conditioned. 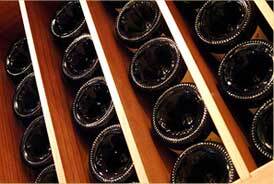 The reserve cellar underneath dating back to the 15th century, permits storage and maturation in perfect conditions. 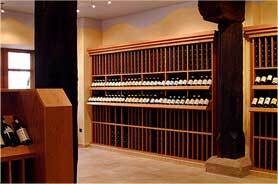 Boutique VINI is a dream come true for any wine lover with high expectations. You will find not only wines for great occasions or for fine gifts but also more affordable wines that will satisfy your palate without punishing your purse. Value for money is one of our constant concerns. A special wine feature will be regularly offered for tasting. Alcohol abuse is dangerous for your health - consume and enjoy in moderation.